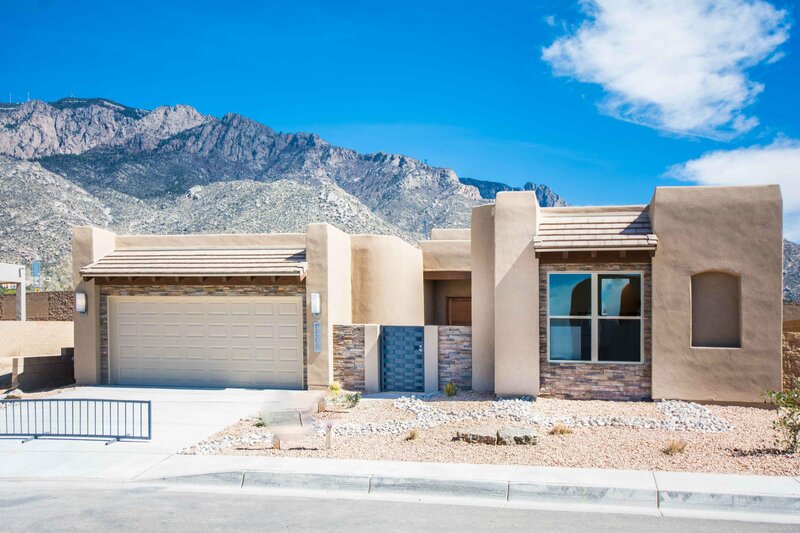 New construction this Scott Patrick Custom home has spectacular views of the Sandia Mountains. Some of the home features include walk in Butler pantry, kitchen Island, granite countertops, stainless steel appliances, front yard landscaping including sprinkler system with timer, garage automatic openers with one keypad and much more. Mandatory HOA fees to North Tramway Homeowners Association in the amount of 25.00 per month. Additional HOA fee to Sandia Heights Homeowners Association with an additional 8.00 per month.